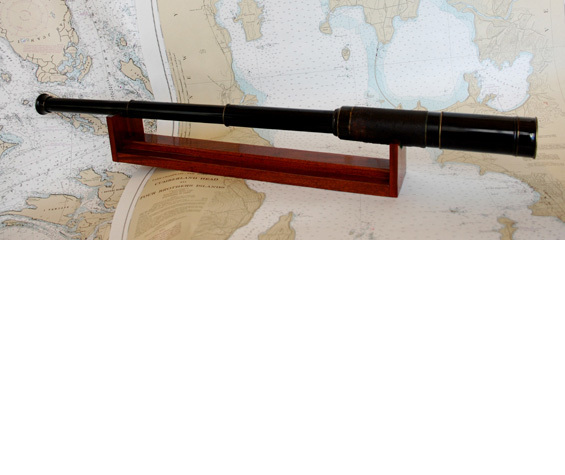 This is a high-quality, probably French-manufactured, solid-brass early 1900's telescope. 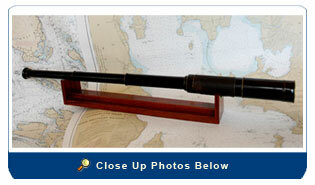 The optics are excellent for this period piece (it has a sunshield and end cap.) The scope was completely dismantled and the optics were cleaned. The stand was custom made from solid Honduras mahogany and can be mounted on the wall (hardware included) or sit on a flat surface for display. Size: 31” long when extended and about 10” when closed. The big lens has about a 2”diameter lens and the small lens has about 1 ½” diameter.